Did you know that you can modify an empty plastic soda bottle in order to make a fish trap? The neck of the soda bottle makes a great funnel, and the body of the bottle makes a great cage. In essence, if you reverse the neck direction to face the body, what goes in the funnel lands in the cage. So, with a knife or scissors, pierce the side of the bottle at it’s widest point below the bottle neck and cut around the circumference of the bottle, then remove the neck, turn it around and insert it into the body, and viola!, you have a fish trap. You can either eat the critters that you catch, or, you can use them for bait to catch something bigger. 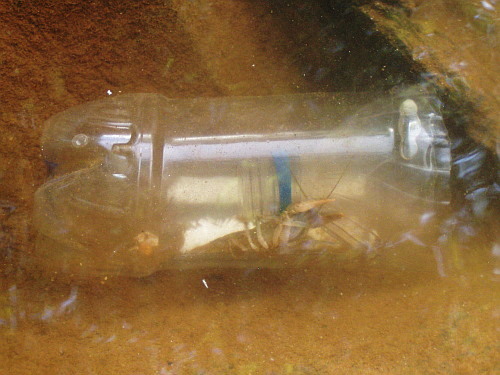 For more details, see my blog “Soda Bottle Fish Trap“. 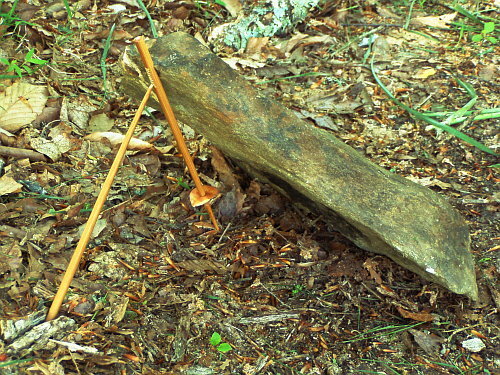 This trap is traditionally made with bamboo but can easily be made out of alternate materials such as saplings and tin cans. 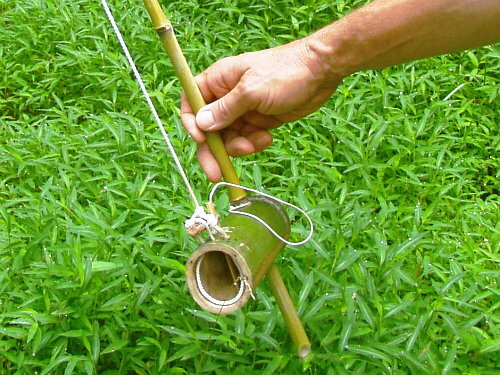 The trap consists of a hollow bamboo tube, a springy branch with cord and toggle, a small cord anchor loop, a large cord snare loop, and a tethered trigger stick. 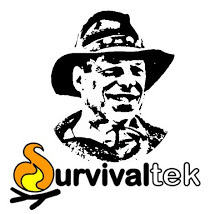 When the toggle is threaded through the snare loop, and is held down by the anchor loop and trigger stick, the snare loop is positioned inside the bamboo tube by the opening. When the rodent sticks it’s head into the tube and sets off the trigger stick, the snare loop tightens around the neck of the rodent and pins it against the roof of the tube. The branch extends through the tube and is driven into the ground to keep it in place, thus preventing it from being dragged away from a struggling animal. As usual, several traps are set out to increase the chances of success. 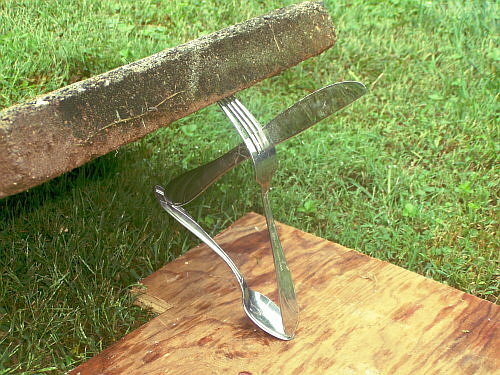 For more details on this method, see my blog Tilong Rodent Trap.